There’s still some debate about the standard of Korean food in Hong Kong. 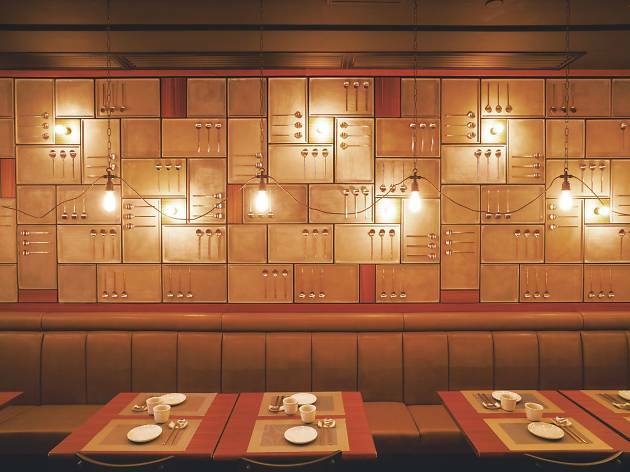 While there are various excellent fried chicken joints and many laud the authenticity of the barbecue restaurants on Kimberly Road in TST, there remains room for an authentic yet contemporary eatery catering to lovers of the peninsula’s less heralded specialities, like japchae and bibimbap. Bistro Seoul is just the latest additional to the slew of new restaurants welcoming customers along Lee Tung Avenue in Wan Chai. 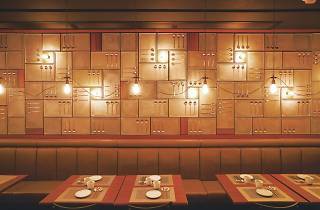 Warm wood tones and a visually stunning panel of Korean metal spoons along the wall lends the space an unpretentious and comfortable air. Seated next to the window – perfect for people watching – we start our meal with a kimchi seafood pancake ($68). The plate arrives with only two small pieces for consumption but they pack a nice kimchi punch. 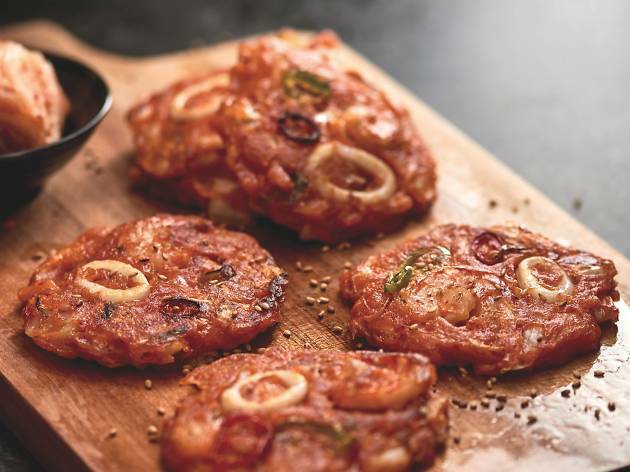 And even though there are only tiny pieces of prawn and not much seafood in the dish, we enjoy the chewy texture and absence of bland batter in each bite. Next up is the spicy pan-fried chicken ($128), arriving on a hot plate with plenty of cabbage and sliced carrots. The sauce carries just the right amount of heat alongside tender chicken. Another solid dish. We end our meal on a sweet note with a stone pot ice cream on rice cake ($68). The combination duly arrives bubbling away in a searing hot stone pot, the caramel syrup on top of the warm rice cake melting trickling into the ice cream is an ooey gooey delight. We love the offerings at Bistro Seoul, and with its convenient location we can’t think of many places better for some appetising Korean. 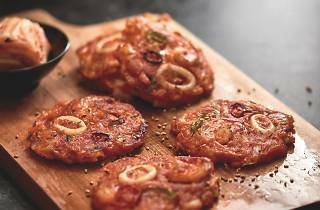 Especially when we get a hankering for kimchi pancakes. This place is absolutely terrible with astonishingly low quality. Bi Bim Bap came without the stoneware and tasted like it came straight from a rice-cooker. There was hardly any beef nor flavour. Japchae tasted no better than a dai pai dong fry up. The beef patty was dry, overcooked, bizarrely sweet, and resembled nothing Korean. It's something you'd expect on a McDonald's menu instead. We had one more un-memorable dish. Came to $600 for 2 people -- without drinks. Total rip-off!